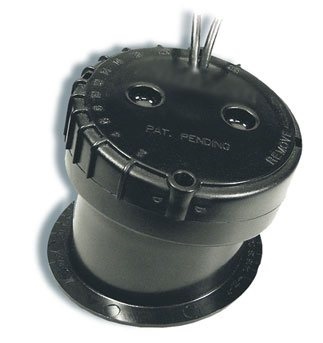 Great for those who would rather not drill a hole in their boat hull, this entry level P79 in-hull transducer with an adjustable dead-rise angle makes installation so simple. The 8-pin 600W transducer has a depth of 800 to 1,200 ft; an operating frequency of 50 to 200 kHz; a beamwidth of 45 to 12 degrees; and a 0 to 22 degree dead-rise. Transducer kit comes with easy to understand installation instructions. Please note, fibreglass should be no more than 5/8" thick. Not recommended for cored hulls.